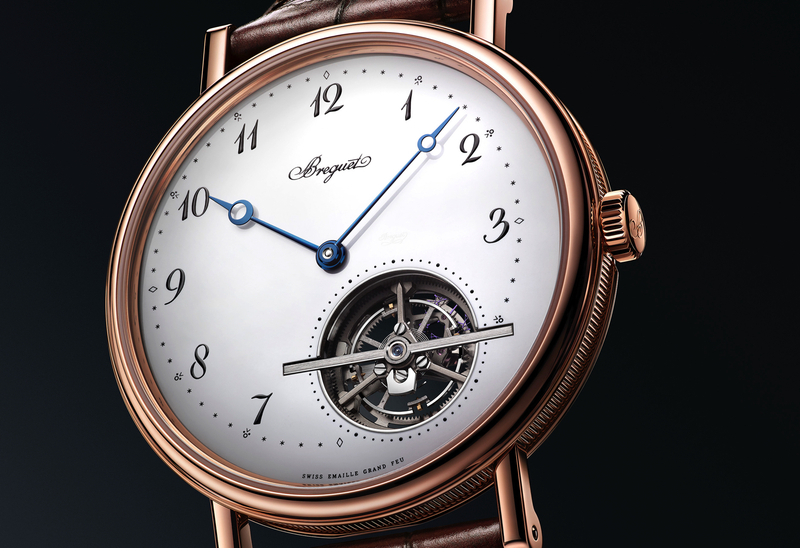 Breguet released the *Classique* ultra-thin tourbillon (Ref. 5377) with a guilloche dial and power reserve indicator in 2013. This year at Baselworld 2018, they will debut a new timepiece within the same Classique collection. 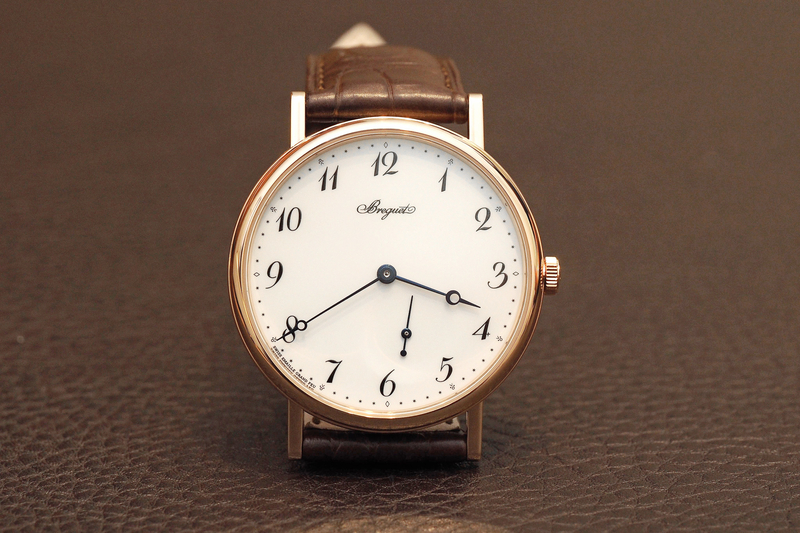 Instead of a guilloche dial, however, this watch features a “Grand Feu” enamel dial and no power reserve indicator. But the movement is based on a variation of the same ultra-thin manufacture caliber 581 that drives the 5377. The new Breguet Classique Tourbillon Extra-Flat Automatic 5367 will be available in a 42 mm x 7.45 mm case crafted from rose gold or platinum, same as with the 5377. 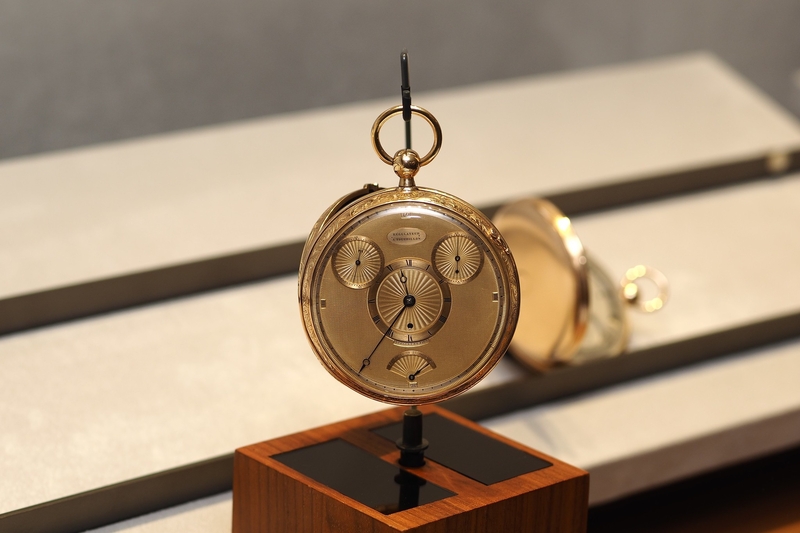 Looking at the dial there are Breguet Arabic numerals in black, and a black minute track outside of that, both off-center to provide focuse on the tourbillon located between 4 and 5 o’clock. The hands are open Breguet tipped and have been blued.